Police have released CCTV images as they hunt for the person responsible for leaving dozens of tacks on a bike path in Kew. The incidents have been occuring over two years, with large numbers of 10 to 12 millimetre tacks left scattered on Yarra Boulevard. Hundreds of riders have fallen victim, some have been left with serious injuries including a cyclist in his 80s who suffered a brain haemorrhage and broken ribs. Last year VicRoads trialled a six-day-a-week sweeping regime at a cost of $100,000. 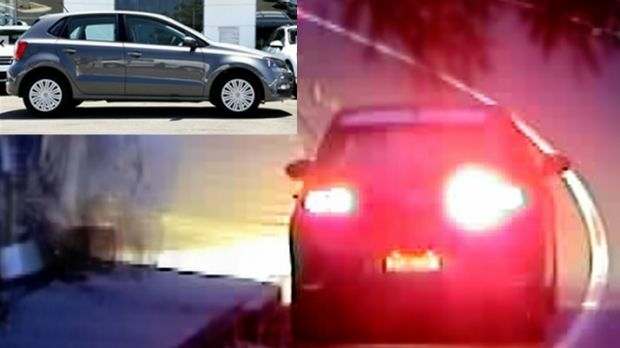 Police have released CCTV images of a man and a 2015 Volkswagen Polo spotted in the area several times on December 1 last year. At one stage, the driver can be seen getting out at a puncture repair station tearing fencing and removing the bike pump and plastic boxes. The man is believed to be aged in his mid-30s, perceived to be of Caucasian appearance, and was unshaven at the time and had a dark beard growing. Police believe he may live locally as he was dressed in only a white singlet, shorts and no shoes. Between 500-800 punctured tyres have been recorded in the area over the past two years, with some cyclists sustaining serious injuries as a result of the offence.